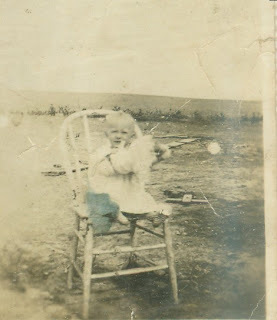 Not only is today D-Day but it is also D Day of my mother's birth, June 6, 1918, on the prairies of Gillette, Campbell County, Wyoming. They named her Ethel America with the surname Petty. America at the time was having a Patriotic fever and her oldest brother pleaded for his parents to name her America. Later her nickname became "Janie". She would have been 91 today.